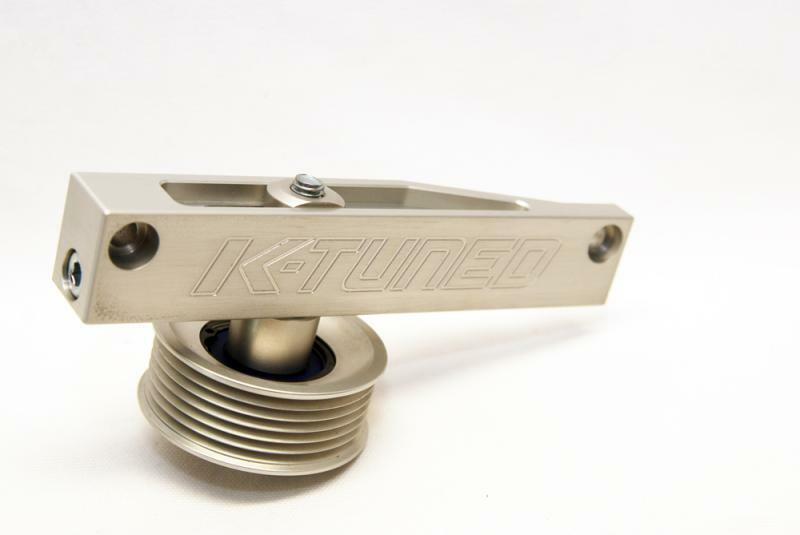 K-Tuned Pulley Kit - A/C & P/S Eliminator - Pann Auto Performance - San Diego largest aftermarket automotive performance parts - What do you drive? 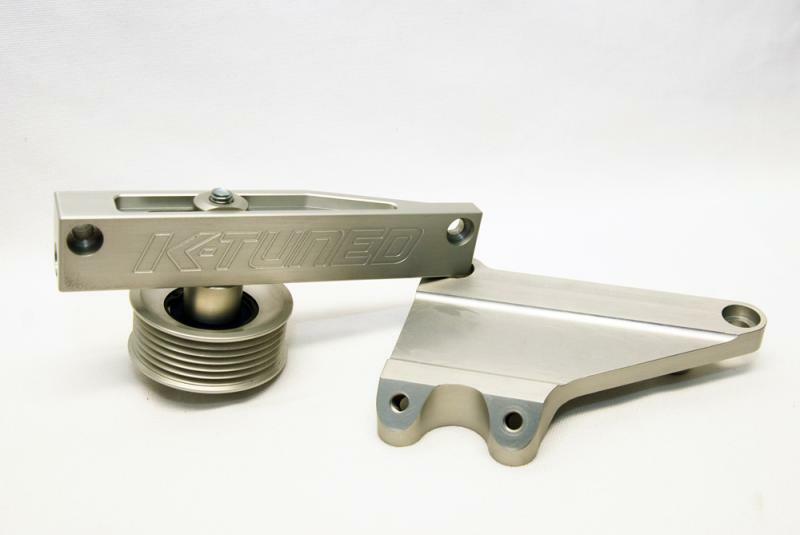 K-Tuned was the very first company to design and manufacture the relocated alternator style pulley kit. All the other competitors that you see with a similar product have simply copied or followed our original and unique design. However, our kit is still the best available and is constantly chosen by racers for a few reasons. Our kit is the only kit that offers 100% accurate belt alignment. Our two pulley design was developed because this part needed it. 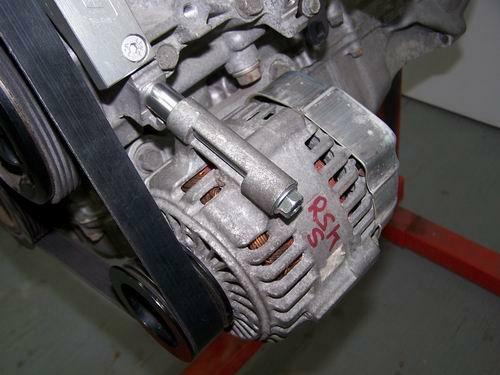 The billet alt pulley holds the belt firmly in place and prevents belt walk which we have seen with other kits (NOTE: We are the only company offering this second alternator pulley). Because we buy these kits in high volume, we are able to offer you the best pulley kit at the best price. Need we say more? The dual pulley design of our K-Tuned pulley kit provides perfect belt alignment and stability unlike some competitor’s knock-off designs. 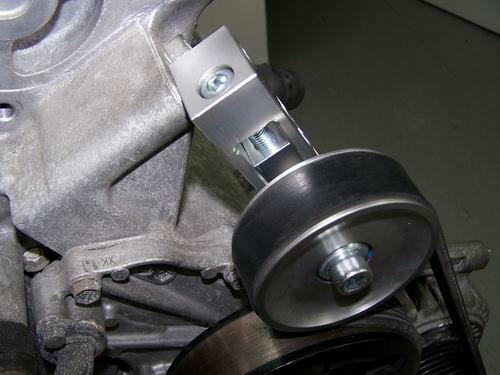 We also use billet construction on all parts where others have used cheaper plastic parts. 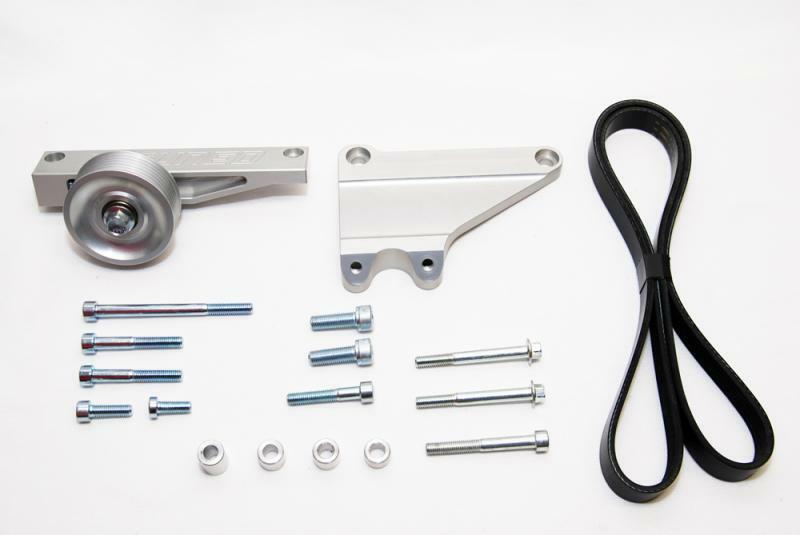 In our continued effort to perfect our pulley kit we are now including our lightweight billet alternator pulley with all our kits. 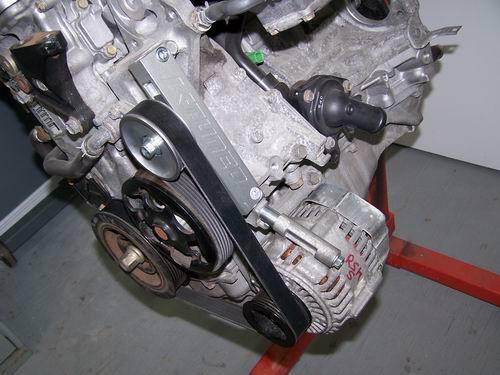 The alt pulley converts the alternator from the oem 7 rib to a 6 rib design and completely eliminates belt movement. The result is a belt that is now routed 100% in line with the outside edge of the factory crank pulley. The belt itself is a high-quality Dayco poly-rib belt that ensures quiet, non-slip operation. 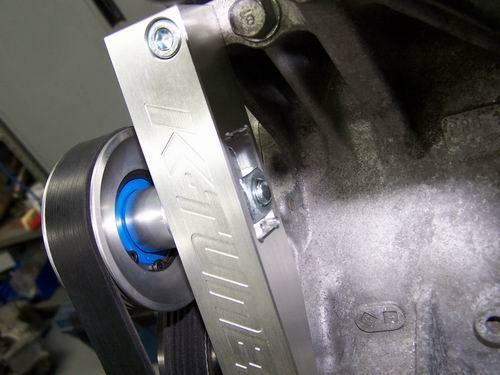 With a K-Tuned pulley kit you no longer need to buy the EP3 idler pulley setup from Honda to complete a K-series engine swap. The K-Tuned pulley kit eliminates both P/S and A/C from the engine as well as the factory belt tensioner. The alternator is relocated lower on the engine, giving lots of clearance on even the tightest K swap chassis. This part is particularly useful for EF K-swaps because it offers much needed headlight clearance. You can even cut off the oem mounting tab used for the original tensioner if you want. Doing this, allows ITB’s and most of the high-end custom intake manifolds to be fitted very easily. A true must have K-swap part.